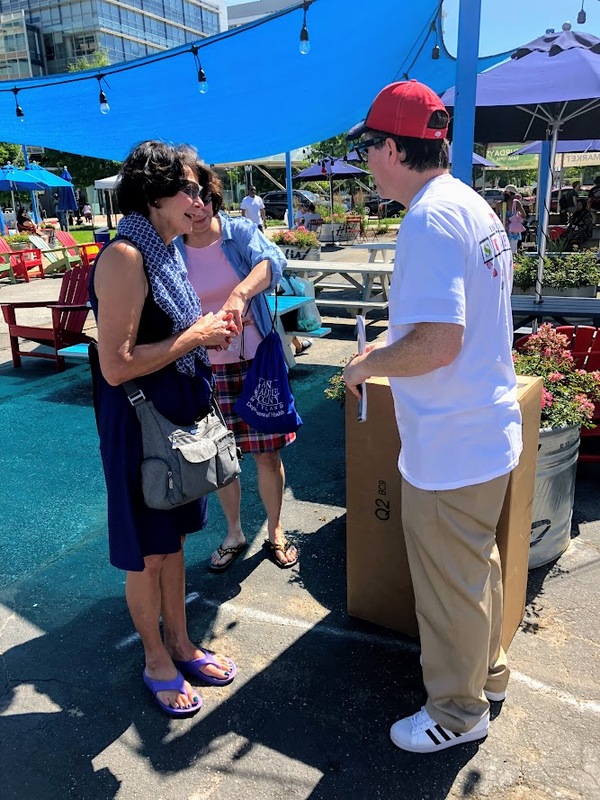 Taking It To The Streets is the Commission’s summer outreach program. 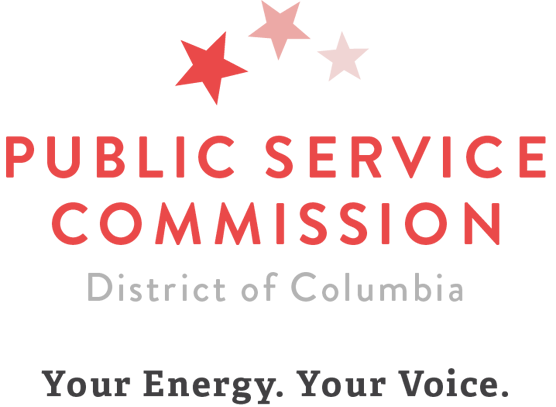 We want to talk directly to consumers and inform them of the services and programs the Commission provides. We also want consumers to get to know us and how the Commission serves District utility consumers. We also know that summer months can result in higher than average utility bills. 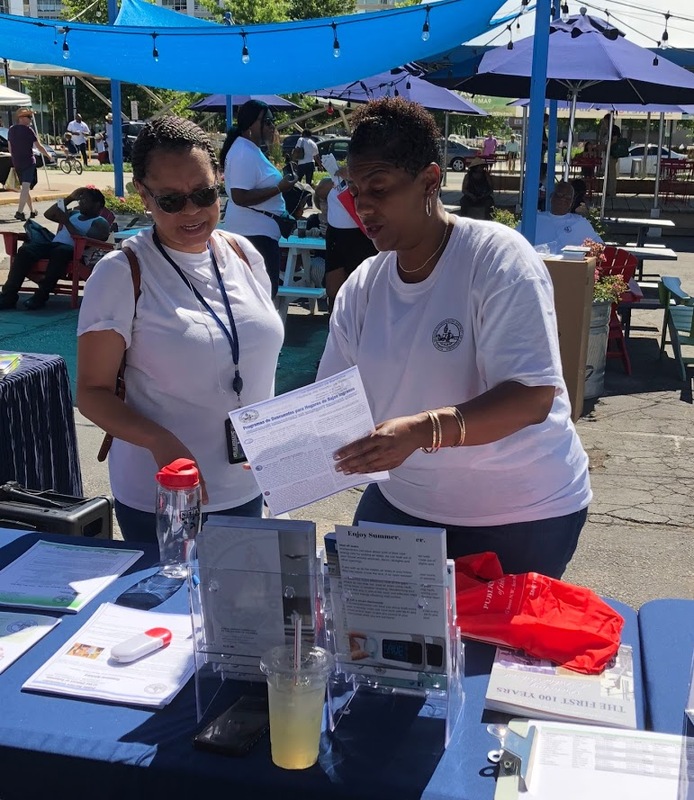 Through Summer Ready DC, learn simple tips to use around the house, as well as resources for District consumers to keep cool, save energy and plan for summer storms. 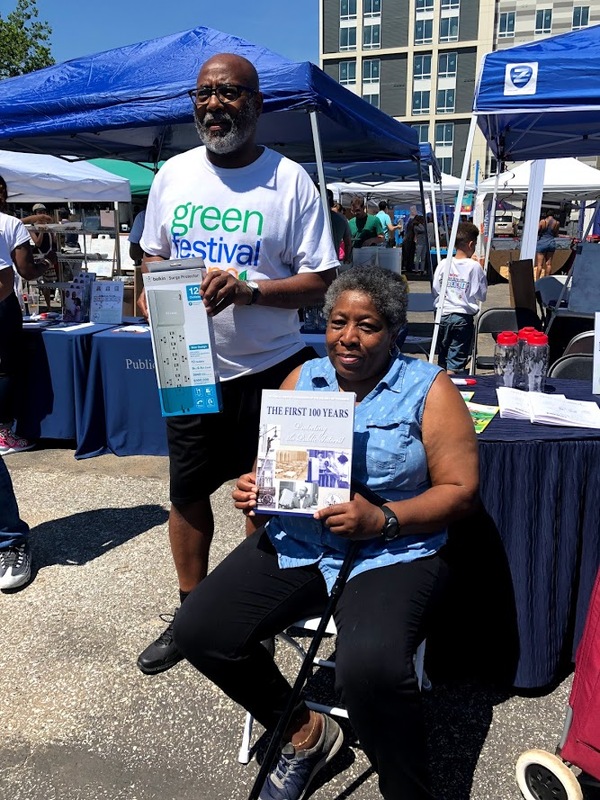 The day before Father’s Day, District residents were invited to meet their DCPSC Commissioners Betty Ann Kane, Willie L. Phillips and Richard Beverly as well as staff at the Southwest Farmers Market at 4th and M Streets, S.W. 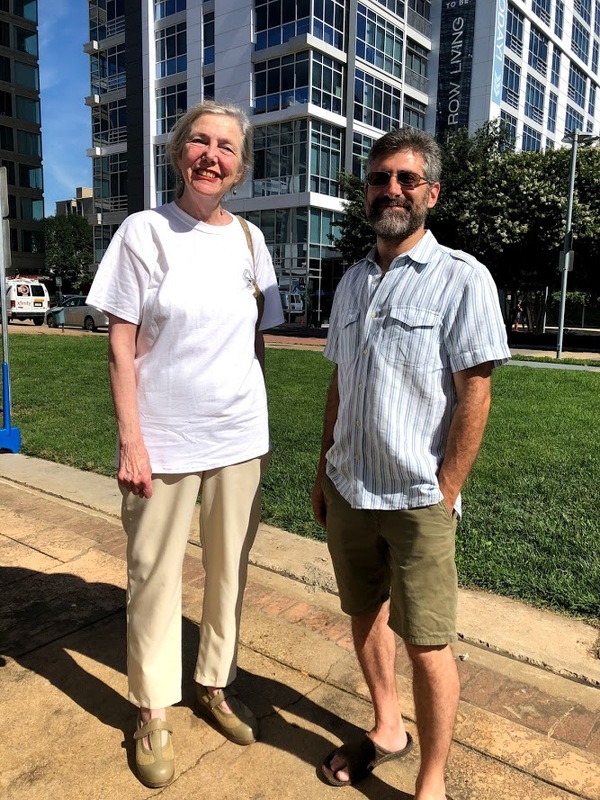 from 9 a.m. to 1 p.m.
During the June 16th event, DCPSC handed out information and answered questions on solar, the D.C. Power Line Undergrounding (DCPLUG) Initiative, utility discount programs and more. 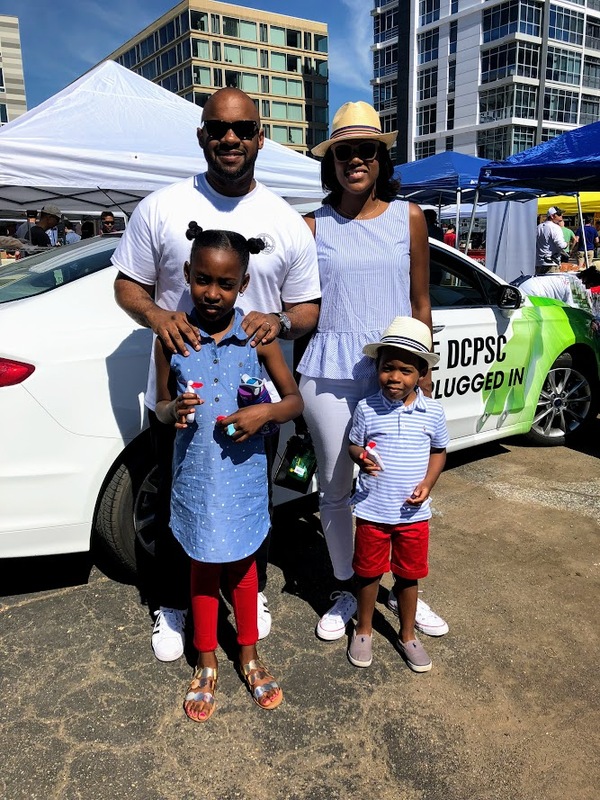 The highlights of the day included the DCPSC trivia contest where people competed for weatherization prizes such as a surge protector and lightbulbs; and a Kids Corner station offering conservation activity books, face painting, balloons and caricatures. 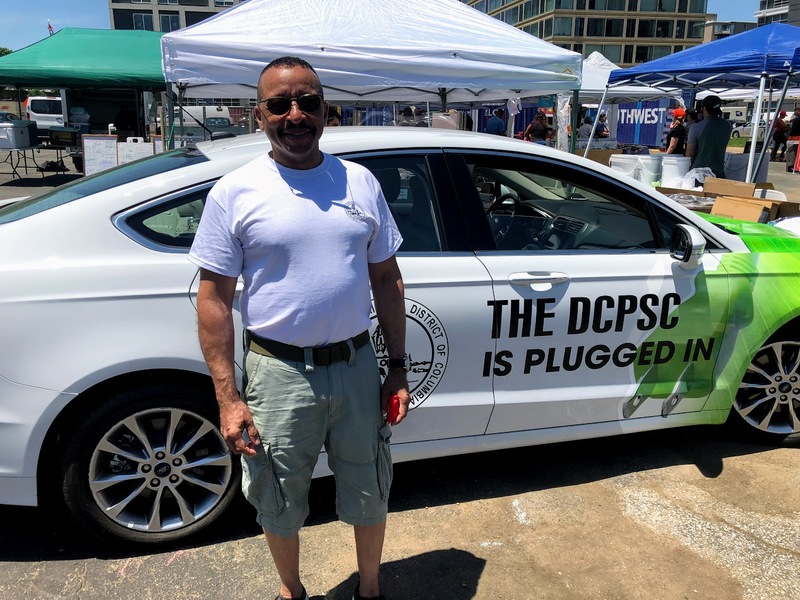 The DCPSC also debuted its plug-in hybrid, electric vehicle. For more upcoming outreach events, visit the DCPSC outreach calendar. 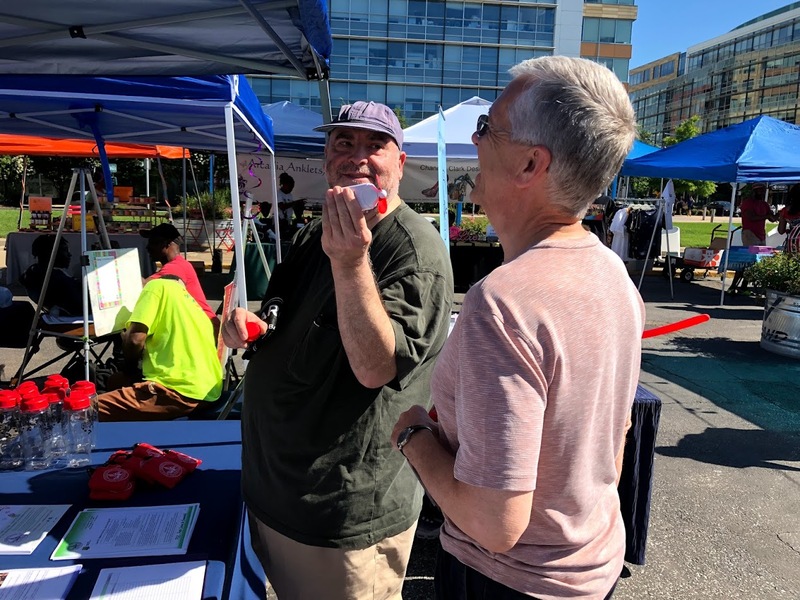 If you would like the DCPSC to present at your next community event or meeting, please contact the Office of Consumer Services at 202-626-5120 or submit a request on-line. Make sure to follow the "DCPSC" on Facebook and Twitter.